What makes the album even more interesting is that Joanne wrote it & recorded most of it during last years’ February Album Writing Month (FAWM). For those of you unfamiliar with this song writing challenge, FAWM challenges artists to write fourteen songs in the twenty-eight days of February. This is a challenge that Joanne has participated in for the past number of years. As a fellow FAWMer (someone who participates in FAWM), I’ve followed Joanne’s work for a number of years & I believe Aandrala is one of the best albums she has written through the FAWM process. First, a little bit of a background on the story that underlays the songs on this album. This is the story of the island nation of Aandrala – a nation of extraordinary crafters & builders. In a time of great war, the Aandralers create the most powerful items ever forged on the world of Horonen. These items are known as The Keys. These three powerful artifacts are given to the island’s three champions who use them to help Aandrala’s allies defeat a great evil. But after the war, the power of the Keys begin to corrupt their bearers and the fate of Horonen tilts precariously on the edge of chaos. As the listener dives into the music, they are taken on an incredible journey through a mystic realm during dangerous times. The album opens up with the title track Aandrala. Joanne’s haunting vocals float atop a beautiful bed of organ sounds & synths. When you close your eyes, the music lets you envision the magical realm of Aandrala. Myself, I feel like I’m a great bird flying over the island looking down at the amazing constructions, the great harbour & the sprawling grasslands beyond the cities of the Aandralers. The music for track two, The Temple, has the most mystical feel of any song on the album. The currents of frequencies layered on this track are deep. The rumbling drums in the distance speak of an ancient power whose potential has yet to be understood. As the piece builds the main chordal structure begins adding to the depth & power already built in this song. But the icing on the cake for this song is Joanne’s haunting voice which chants deep emotion into this great track. It makes me want to close my eyes and meditate deeply on those fundamentally essential questions – those great philosophical & cosmological mysteries humanity still grapples to understand to this day. The “second” title track, The Keys, begins with soft reverent synths & Joanne’s beautiful chanting. There is a sense of sacredness in this song. That the work being undertaken by the great alchemists of Aandrala is not only divinely inspired but of utmost existential importance. The Keys are the greatest creation of the Aandralers & this song relays the gravity of their forging. After these initial “background story” tracks, we get into the main plot of Joanne’s epic. Track four, The War, starts with another haunting soundscape but then intensifies with a martial drum beat, symphonic lines & chanting. You get the feeling that you are marching into war along side the brave Aandralers & that their mighty heroes – Semena, Menlil & Endel – who harnessed the power of the Keys would be victorious. This is a rousing track that gets your heart into the story. One of my favourite on the album. The album then continues with some of Joanne’s signature “spoon guitar” playing on track five, Misled. This is where the plot of the story thickens & the corrupting power of the Keys begins to take hold of the great heroes. Their is a sense of forbodding & a coming despair in this track which Joanne crafts so masterfully. This is followed by The Clamour which is punctuated by Joanne’s beautiful vocals. The track speaks to the overwhelming clamour of minds that Semena hears through the power of her Key. All she wants is silence & to hear her own thoughts as these lines relate: “Please take that noise away// My grievance// I feel like I’ve gone astray//I’m yearning for silence.” There is a deep sadness in this song and the simple combination of Joanne’s voice with the piano & spoon guitar make this a beautiful yet haunting track. The Anger begins with a deep rumble which slowly builds. There are hints of other sounds deep in the background & the odd little delayed note in the foreground. A real sense of foreboding can be felt. As the song develops, the mood thickens with deeper and darker tones hinting at The Anger that is quietly building just below the surface. The foreboding begins to manifest itself in The Fate, chapter 8 of the story. An arguement between friends is described in this soundscape. Again, the layers of sound that are present here go deep & Joanne has masterfully crafted the mood of this encounter between the corrupted Menil & his friend Endel who is trying to save the world. Haunting vocals again carry this piece as does the simple chord structure, both which draw you deeper into the music & the story itself. The Omen reminds me so much of Robert Fripp’s Soundscapes. Joanne masterfully combines droning frequencies with her beautiful spoon guitar to intensify the foreboding that is an ongoing musical & plot theme. Again, this song is minimalist in its orchestration but evokes so much emotion. Yet, we move from this foreboding minimalism into the epic climax of the album: The Sacrifice. Synthetic strings lead off the song as Joanne slowly adds layers to this climatic piece. The melody is enchanting, but as the vocals intensify at the 2:45 mark, we begin to feel the weight of what is happening. The final key is used to stop Menil, destroying the island of Aandrala & taking the power from the Keys forever. The last part of the song is sombre & the listener feels the pain caused by the destruction. The album ends with the song A New Era, another song built around Joanne’s spoon guitar sounds & her beautiful chants. At last, a sense of hope is offered as Endel’s eyes turn from the pain & destruction of the past to the possibility offered by the future. This is a lovely track that completes the album yet leaves the listener wanting to hear more of the story. 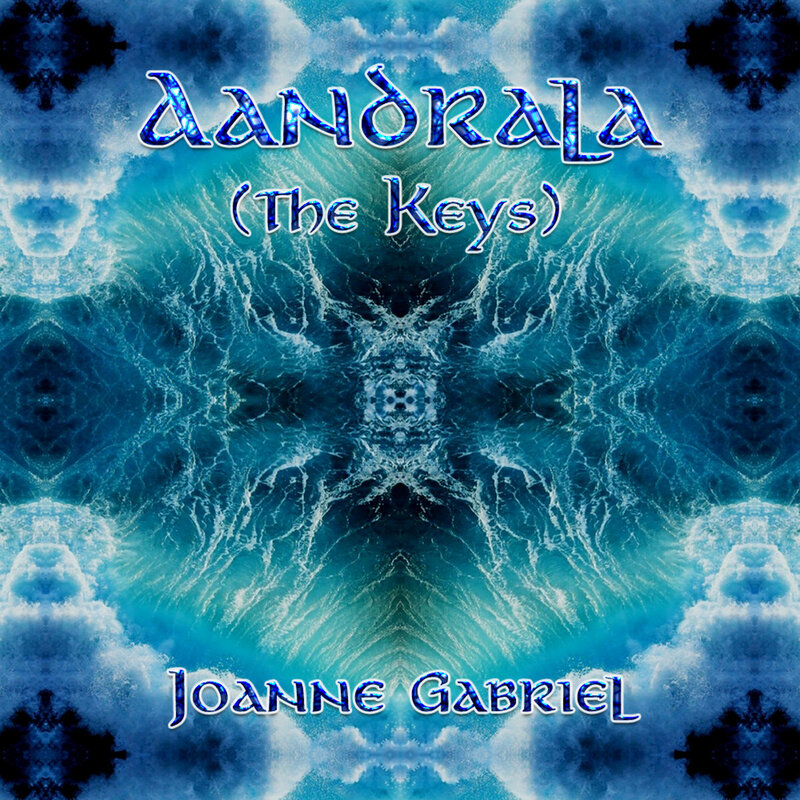 Aandrala (The Keys) is published under a Non-Commercial Creative Commons Attribution liscence & is available for free download from Joanne’s Bandcamp site. The download includes front & back CD covers & liner notes all displayed on a background of beautiful artwork. The liner notes relay the story chapter by chapter (i.e. track by track) as well as provide an introduction to the story’s background & development. Aandrala (The Keys) is an epic album & a masterful exercise in composition. It is well worth the listen – as is all of Joanne’s work. Released: 19 June 2014Joanne Gabriel : Vocals, Guitars, Bass, Keyboards, Loops, Programming and Texts. 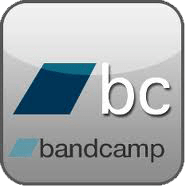 This entry was posted in Music You Need To Hear… and tagged Aandrala, alternative, ambient, concept album, Cycle of Horonen, Dark Ambient, Drone, Experimental, Fantasy, Glossolalia, Horonen, Joanne, Joanne Gabriel, Minimalist, Neo-Classical Dark Wave, song, Soundscape, Soundtrack, Story.